Just like with most things, there are good versions of stained glass and… bad versions. How can you tell the difference between quality and lackluster stained glass windows? Lackluster windows usually involve plastic laminate overlay or they have paint applied to the surface of the glass. These windows aren’t durable. Quality windows, like the ones found in European cathedrals, are durable and they can last for centuries because they’re composed of real glass– no plastic. Furthermore, the color is literally “in” the glass rather than painted on top of it. 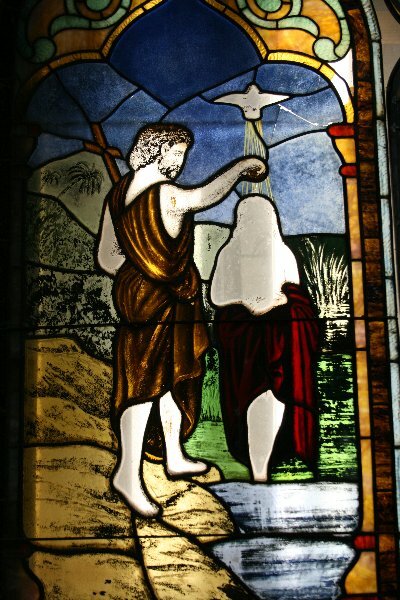 If the color was applied to the surface but kiln fired into it, at least, then the pigments and chemicals are an integral part of the glass itself. Real colors are created using real elements. For instance, blue comes from cobalt and pink/red comes from gold. There’s an art and a craft to making quality stained glass windows. If you’re thinking of buying stained glass windows today, you need to be on the lookout for poor design and poor craftsmanship. In other words, was the artist amateur, untrained, boring or sloppy? What’s more, in the actual physical creation of the window, was the artist-creator committed to doing his or her best, or not, with the best materials available? If you’re looking for “the best,” then you’ll want to find windows that you’d consider to have innovative or original designs crafted both cleanly and precisely. For copper foiled stained glass, look for lead lines displaying a uniformity of width, very thin lead lines, smooth solder bead, and a uniform appearance of the patina, if one is applied. These are all indicators of high quality stained glass windows. For leaded stained glass windows, high quality indicators include straight lead lines which look perfectly straight, curved lead lines which look smooth and precise, lead lines that match up both ways when crossing each other, visually smooth junctures where two lead lines merge into one, smooth and small solder joints, a uniform patina, and no excess putty where putty has been applied. Cumberland Stained Glass is involved in the restoration and repair of many windows. We also handle research, design, fabrication and installation of new windows. We care about bringing customers windows of high quality. You’re welcome to ask questions and find out the details of exactly what we can and will do for you with regards to high quality stained glass windows. Please call 717-691-8290.